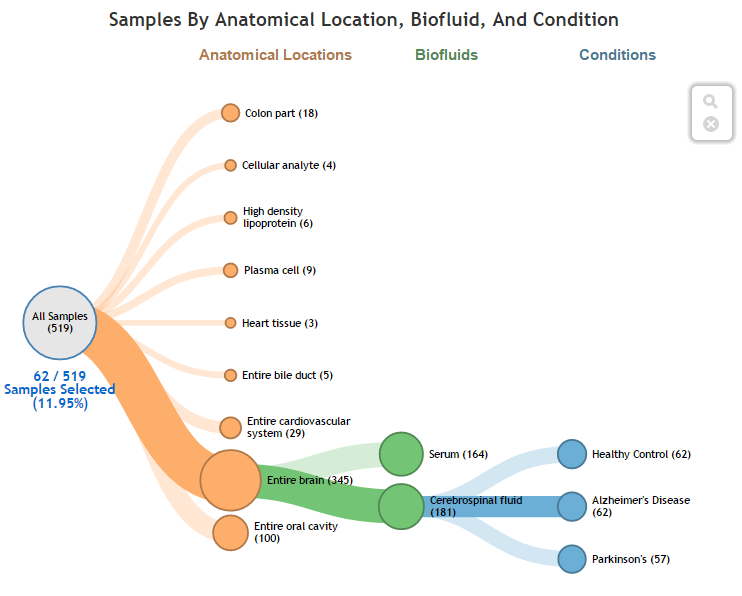 You can use our dendrogram-like partition diagram ("linear tree") to interactively drill down into different subsets of biosamples. Click the Select Profiles button in the navigation bar and then click the Linear Tree Drill-Down button. 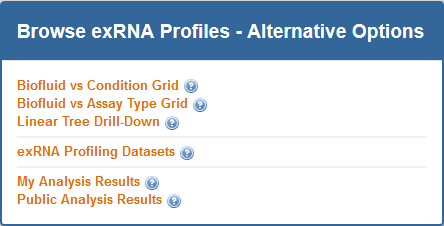 Go to the Atlas homepage and click the Linear Tree Drill-Down link in the Browse exRNA Profiles - Alternative Options panel. Click on a collapsed node to "drill down" along its path in the Anatomical Locations » Biofluids » Conditions facet sequence. Click on an expanded node to collapse it. Reset/clear your active path using the icon in the floating menubar. Click the icon to download a file containing all three metadata documents (biosample, donor, and experiment) associated with the biosample. Click the icon to open the PubMed page associated with the biosample. If there is no PubMed page, you will get a pop-up alerting you that no references could be found. 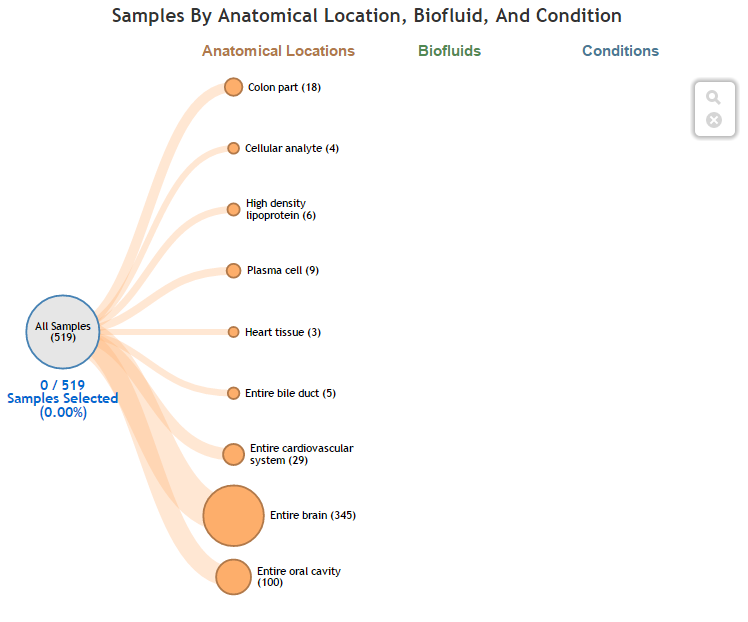 Third, the Analyze Selected Samples button will allow you to take samples from the exRNA Atlas and feed them into downstream and comparative analysis tools.